Place the pastry on a large oven tray lined with non-stick baking paper. Using a small sharp knife, gently score a 2cm border around the edge of the pastry and prick the centre with a fork. 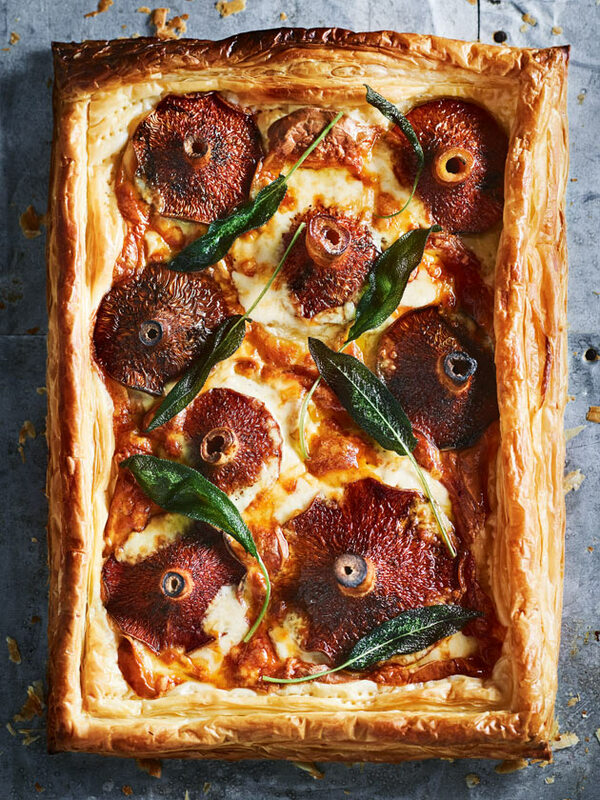 Top the pastry with the mozzarella, mushrooms and sage. Cook for 18–20 minutes or until the cheese is bubbling and the pastry is golden and cooked on the base. Drizzle with truffle oil, if using, to serve. Serves 8. + Pine mushrooms are available from selected greengrocers. You can use any large mushrooms for this tart.